The fatal crash happened Friday at 1:30 a.m. at 5600 North Freeway. The male victim was skateboarding on the sidewalk of the North Freeway service road near Werner. 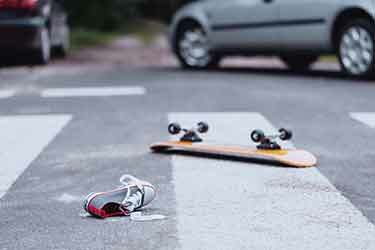 The driver of a dark-colored vehicle failed to stay in a single lane, jumped over the sidewalk, and struck the skateboarder. He died at the scene. The driver failed to stop and render aid as he continued northbound on the North Freeway service road. Officers believed the victim worked at Wal-Mart and his identity is pending verification. The hit-and-run accident remains under investigation and officers are asking anyone with information to come forward.